Complete with everything you need to make delicious drinks, this Rabbit six piece bar tool set will make a great addition to your kitchen or bar. 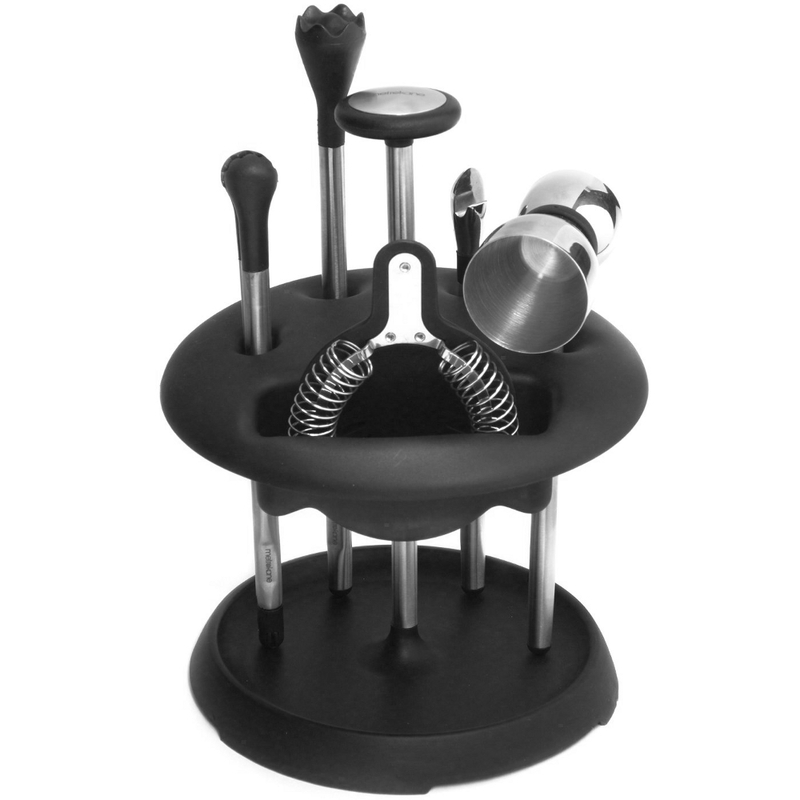 It comes with a caddy to keep all of the tools together that you will need to entertain your guests, and can stand on it's own or be stored in the Rabbit stainless steel ice bucket. The set comes with a double jigger, bottle/can opener, strainer, ice tongs, muddler and a tool caddy for storage. Each piece features a sleek black and stainless steel design that will complement any kitchen decor. Backed by a manufacturers five year warranty, this is sure to guarantee satisfaction.